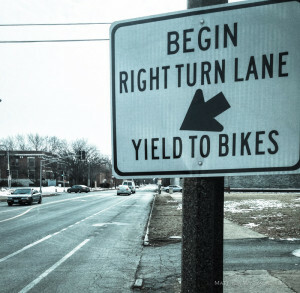 Update 2/28/15: Read Alderman Conway’s statement about bike lanes on Tower Grove Ave. The last month has seen significant progress regarding bike lanes on Tower Grove Avenue: a key Alderman has shifted his position on the issue, and an upcoming neighborhood meeting will be decisive. Yet time is running short, and we need your support to win. 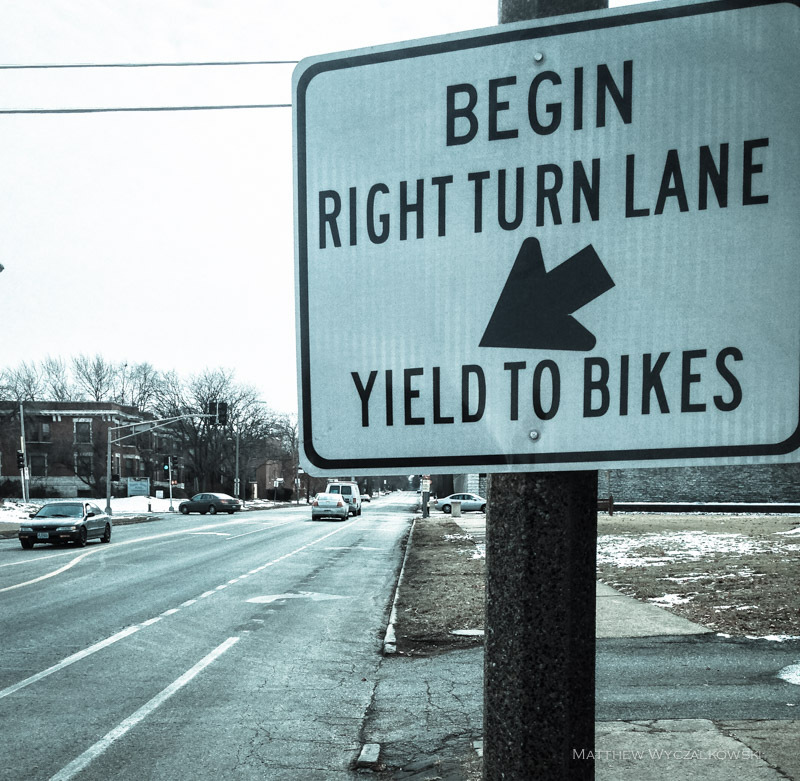 The issue, in a nutshell, is whether planned buffered bike lanes should be installed – now and on schedule – on a half-mile stretch of Tower Grove Avenue, the busiest cycling route in St. Louis. The City wants to delay them for up to two years to maximize traffic there while the Kingshighway bridge is replaced. As we’ve described before (here and here), delaying bike lanes will make Tower Grove Avenue less safe for cyclists, pedestrians, and drivers. Postponing this project will cost the city $50,000 as it gives up federal funds, and it won’t help drivers anyway: two lanes of traffic narrowing into one will only increase congestion. Yet until recently, Alderman Conway – a powerful decision maker through whose ward Tower Grove Avenue runs – did not support installing bike lanes before Kingshighway closes. Happily, his position has evolved due feedback he received on this issue, and he now pledges to support whatever the surrounding residents recommend via their neighborhood association vote. Alderman Conway was concerned about the current congestion which currently exists on Tower Grove Avenue during rush hour, particularly on southbound Tower Grove Avenue at Shaw. Recently changes in signage have been made to address the issue (see below). New signage on southbound Tower Grove Avenue at Shaw. Bicycles and right-turning cars share a lane approaching the intersection. The street sign and turn arrows clarify this arrangement, allowing for better traffic flow. Simply put, to succeed, the neighborhood needs to be on board with buffered bike lanes. Last month we presented at the Southwest Garden Neighborhood Association. The audience, consisting mostly of non-cycling neighbors, was broadly supportive of bike lanes on Tower Grove Avenue. “The City proposal makes no sense,” said one attendee. Importantly, an informal hand poll was nearly unanimous in support. The next – and critical – neighborhood meeting is the Shaw Neighborhood Improvement Association (SNIA) general meeting on March 2nd (details below). Alderman Conway is on record saying that if the attendees support implementing buffered bike lanes now then he will too. Still, time is running short and victory is not certain. Kingshighway is scheduled to close at the end of March, and if the City proceeds as planned, a flood of traffic will make riding on Tower Grove Avenue scary and dangerous. The bike lane plans are ready (see here for detailed engineering drawings), funding is in place, and crews are already striping other streets as part of Bike St. Louis Phase 3. Getting Alderman Conway on board by demonstrating community support is key to getting bike lanes now on Tower Grove Avenue. If maintaining Tower Grove Avenue as a safe corridor for cyclists is important to you, now is the time to say so. If at all possible, please attend the SNIA General Meeting at 7:00 PM Monday, March 2nd at the St. Margaret of Scotland Church basement (located at 39th at Flad). If you cannot attend, please share your thoughts with the SNIA board by emailing them at email@shawstlouis.org. Finally, please sign our petition if you haven’t done so already, and encourage your friends to do so as well. Because of your support we’re getting close – let’s take this over the line. Bike lane plans look great! My only concern is with the shifting lanes at the intersection with Shaw. I doubt you need a right turn lane in both the northbound and southbound directions, and if you can eliminate one of those lanes, then you don’t need to create an awkward lane shift at the intersection. 1 Pings/Trackbacks for "Bike Lanes on Tower Grove Avenue: The Home Stretch"